Mellowment + Gravity created two unique formulations designed specifically for sleep. Most of us have heard anecdotal evidence suggesting it’s getting harder and harder to get a good night’s sleep. But the actual statistics are almost alarming. According to one recent survey, over a quarter of U.S. adults (roughly 27 percent) say they have trouble falling or staying asleep most nights. Meanwhile, 68 percent say they have trouble sleeping at least once a week. And for the record, no, it hasn’t always been this way. In 1942 only 11 percent of Americans slept six hours or less on a nightly basis. In 2013 the number was a whopping 40 percent. However, while these statistics paint a bleak picture, a new line of CBD sleep aids may offer relief. Just about every sleep study conducted over the past decade shows that the number-one cause of sleeplessness is stress or anxiety. Unfortunately, the systemic causes of stress and anxiety—such as our modern post-industrial economy and our cultural smartphone dependency—aren’t going away any time soon. So it should hardly come as a surprise that the use of natural anxiety and insomnia remedies, like CBD, are on the rise. While there is not enough research to make definitive scientific claims, overwhelming anecdotal evidence suggests CBD sleep aids can be helpful in alleviating anxiety and sleeplessness, and with minimal side-effects compared to other options. Unfortunately, the rapid proliferation of CBD supplements over the last few years has made the CBD marketplace difficult for consumers to navigate. However, as we’ve pointed out in this space before, one brand with a solid reputation for producing high-quality CBD products is Mellowment. 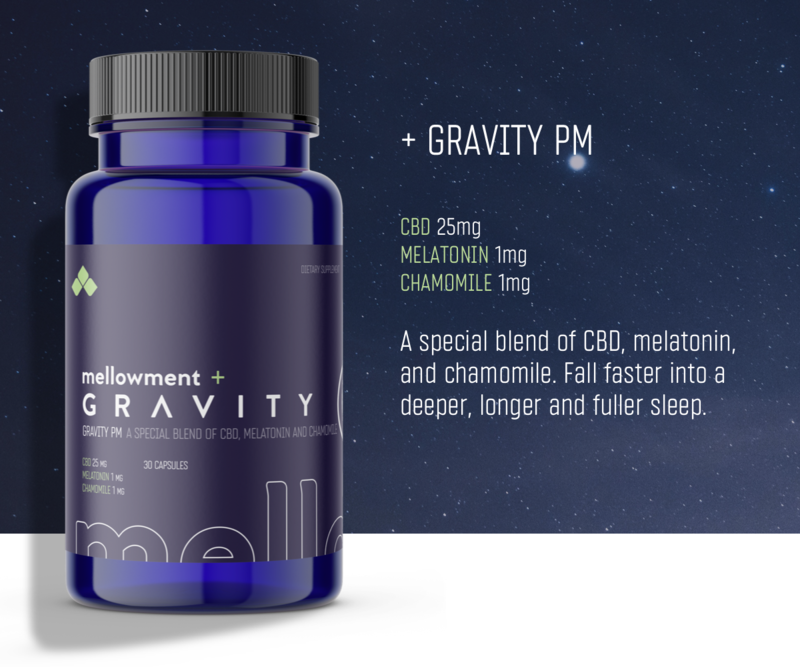 Now Mellowment has partnered with Gravity, makers of the innovative Gravity weighted blankets, to create Mellowment + Gravity, a new line of CBD sleep aids that combines CBD with melatonin and chamomile to help you fall asleep faster and achieve a deeper, longer, fuller sleep. 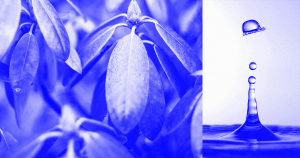 What sets Mellowment + Gravity apart from the competition is its innovative nano-emulsification process. To put it in layman’s terms, this process basically shrinks all the active ingredients, making it easier for them to permeate cell walls, decreasing the time it takes for the supplement to take effect, and increasing its effectiveness by an estimated 400 percent. Mellowment + Gravity also features water-soluble phytocannabinoid-rich (PCR) hemp oil, which can be absorbed by the cells via osmosis, increasing the overall amount of CBD your body can absorb. Right now these cutting-edge CBD sleep aids are available in two strengths, depending on your needs. Gravity AM contains a “low impact” 10mg dose of Mellowment’s water-soluble CBD, along with a 1mg dose of melatonin and a 1mg of chamomile. Engineered for those who only need a little help, Gravity AM is taken in the morning, and is designed to sooth your nerves and promote calmness while minimizing the potential side effect of excess drowsiness. For those in need of a more powerful sleep supplement, there’s Gravity PM. It contains a “high impact” 25mg dose of Mellowment’s cutting-edge CBD along with 1mg of melatonin and 1mg of chamomile. It’s designed to provide maximum relief from the stress and anxiety that keep you awake at night, helping you fall into a deep, impactful sleep. Both varieties of Mellowment + Gravity contain 0.0000% THC and come in easy-to-swallow softgel capsules. Best of all, they can be delivered right to your front door. 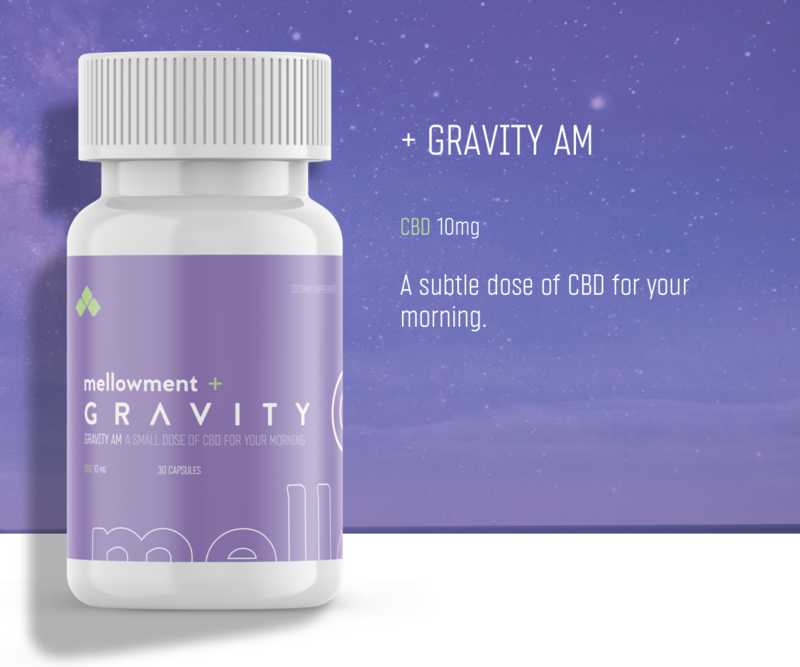 So if you’re one of the 50-to-70 million American who suffer from chronic sleep and wakefulness disorders, you should consider giving Mellowment + Gravity a try. A non-editorial team at Futurism has partnered with Mellowment to create this article, and we may receive a percentage of sales from this post. This supplement has not been evaluated by the FDA, and is not intended to cure or treat any ailments. Do not take CBD products if you are allergic to any of the ingredients in the product you are consuming. Tell your doctor about all medicines you may be on before consuming CBD to avoid negative reactions. Tell your doctor about all medical conditions. Tell your doctor about all the medicines you take, including prescription and nonprescription medicines, vitamins and herbal products. Other side effects of CBD include: dry mouth, cloudy thoughts, and wakefulness. You are encouraged to report negative side effects of any drugs to the FDA. Visit www.fda.gov/medwatch, or call 1-800-FDA-1088.